When Jimmy Iovine, the co-founder and CEO of Beats Electronics, launches his much-anticipated subscription music service in the coming months, he wants to do so with some big marketing muscle help from AT&T. In recent weeks, Iovine has been in talks with top execs from the major music labels and AT&T, according to people familiar with the talks. The goal, sources say, is to bundle Beats' upcoming service, called Daisy, with AT&T data plans as a way to gain a big audience quickly. The potential partners are in the early stages of working out the details, sources say. The talks could fall apart or end up involving a different carrier. Such a bundling would likely offer consumers a free period of music access with the goal of converting them to paying subscribers. On the table now, sources say, is how much free music to offer and who would eat the costs. Spokespeople for ATandT and Beats declined to comment. Striking a deal with AT&T could give Beats a big boost as it tries to take on a range of competitors and defy the odds of creating an economically viable digital music business. Daisy will be competing not just against Spotify and smaller players, such as Deezer and Rdio, but also against bigger entrants now getting into the subscription music business. In May, Google launched Google Music "All Access." The company also is working on a service tied to YouTube that it plans to release later this summer, sources say. Iovine, who founded Beats with music artist and producer Dr. Dre, began down this path a year ago when Beats bought MOG, an on-demand subscription service that won solid reviews but failed to gain much traction. Iovine has said that he plans to combine that MOG technology with the Beats brand to create Daisy. Iovine's service has a twist that the music industry is watching closely. Daisy will be powered by a mix of humans and algorithms, and Iovine has enlisted music masters -- artists, DJs, and others with deep knowledge and experience in producing music -- to come up with playlists. It's the highest profile music service to rely so heavily on people to select the music. Nine Inch Nails front man Trent Reznor will serve as the music service's chief creative officer. 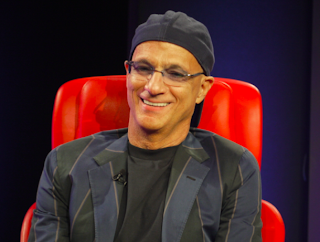 "Most tech companies never get curation right," Iovine said at an AllThingsD conference in February. "It's not in their culture. We will be miles ahead of them. If you are going to the gym five days a week, we know that, and when you wake up we will have a list for you." With mobile at the center of all music offerings now, partnering with a big carrier makes good sense. There is also precedent for successful tie-ins, although no big examples in the United States. Spotify, for instance, captured a huge chunk of the Swedish population when, in 2009, ittied up with telco Telia -- an example that music label execs point to as showing the potential of bundling with wireless carriers. Spotify has been trying to strike similar deals with big carriers in the U.S., but it hasn't struck it lucky yet. One possible problem is that while Spotify is growing fast, its customer base is still small, with about 24 million active global users. Beats by Dre, by contrast, comes with a well-established brand and a footprint in retail stores. In short, AT&T might see the partnership as an arrangement that would help drive phone sales and premium data plans in a way that Spotify can't. (Beats by Dre has 5.8 million "likes" on its Facebook page versus AT&T's 4.6 million). Iovine is well aware of the challenges of pure play digital music startups, which struggle with the giant economic issue of paying about 70 percent of every dollar they bring to the rights holders -- the music labels and publishers. Success can only come with a huge audience, which is why Spotify has raised so much VC money -- roughly $280 million -- and in March started its first national advertising campaign to try to grab more customers. Iovine, who has produced such artists as Bruce Springsteen and U2, already has big support from the music industry. Warner Music Group's owner, Access Industries, in March led a $60 million investment round in Beats' streaming service. And Iovine is still the chairman of Universal Music Group's Interscope Geffen A&M Records unit. Those relationships don't guarantee success, of course, but a tie-in with AT&T or another carrier could up the odds.